What are the best beginner scuba diving locations in the Caribbean? There are lots of islands and dive sites to choose from but which are most appropriate for new divers? Because let's face it, when you are a new diver you can feel intimidated and think that everyone knows what they are doing but you. At least I know that is the way I felt when I first started diving. But as I learned, and as you will probably also learn, for the most part this isn't true. 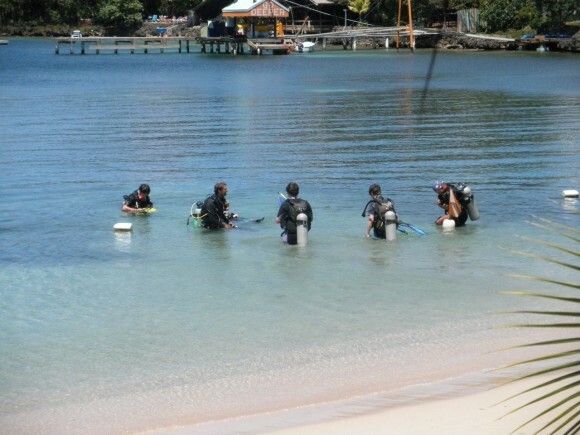 You will probably be with beginner and/or inexperienced divers as well as dive veterans. So you shouldn't feel intimidated. Now I know getting comfortable is easier said than done, so making things easier for yourself (such as picking appropriate dive destinations) can help lessen that feeling of anxiety you have before diving. And anything that helps us feel less anxious is a good thing. To that end, we are going to give you our Top 3 picks for best spots for new divers in the Caribbean. There are a lot of islands to choose from and you will probably be able to find some dive sites appropriate for beginners on most Caribbean islands. However, if you want to do a dedicated dive trip and are just starting out on your diving career, where would we suggest you go? Before we get to our picks, a little reminder is probably in order. This is just our opinion. Ask any diver their choices for best beginner scuba diving locations and they could very well, and probably will, be different. We can only give you our picks based on our experiences and where we have dove. At the time we dove at these destinations the conditions were appropriate for new scuba divers. So with that being said, in no particular order here are our Top 3 Locations For New Scuba Divers in the Caribbean. Mention Grand Cayman to any diver and it will probably be instantly recognized. It is one of the top spots for scuba diving in the Caribbean. Diving and snorkeling on the USS Kittiwake in Grand Cayman off of Seven Mile Beach. Just look at that water. How beautiful is that? And to make it even better, many of the dive sites are appropriate for new divers. There are over 150 dive sites on Grand Cayman so finding spots that are at your experience level is not difficult. Grand Cayman is surrounded by 4 walls and the West Wall runs right in front of Seven Mile Beach, the most popular beach on Grand Cayman. There are dive sites for beginners here including wall, wreck and reef. This wall starts at about 50 feet and obviously goes down from there. The visibility is usually 80+ feet in Grand Cayman so it makes dives that much easier for new divers. Grand Cayman is also home to one of the most popular dives anywhere - Stingray City. This site is only in about 15 feet of water so you can either snorkel or dive it. If you want to do a wreck dive, another popular dive appropriate for beginners is the USS Kittiwake. 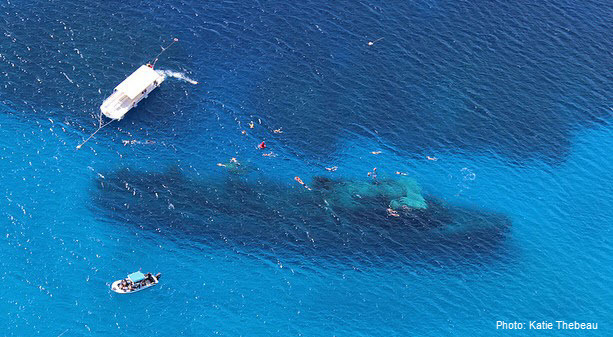 This ship was sunk in early 2011 and sits off of Seven Mile Beach in about 65 feet of water with her superstructure only 10 feet below the surface. While you cannot enter the structure without an advanced open water certification or a wreck diving specialty, you can still admire it from the outside. So if you are looking for some beginner scuba diving locations, I would suggest adding Grand Cayman to the list of top contenders. Do some wonderful dives and then relax on a beautiful beach with a cold one in hand. What could be better? You can read our review of diving in Grand Cayman here. Our second choice for beginner scuba diving locations is located in Central America on the island of Roatan. We have spent a lot of time on Roatan and we think it is great for new scuba divers. There are lots of dive sites to choose from with most sites being suitable for beginner scuba divers. The boat rides are short (unless you dive on the opposite side of the island from where you are staying) and the list of dive shops is long. Scuba diving lesson off in West End on Roatan. This is a common sight on Roatan since a lot of people get certified here - which makes it a good choice for beginner scuba diving locations. Roatan (and its sister island Utila) is a popular spot for people to get certified since it is one of the cheapest places to take courses. Therefore, there are a lot of new divers here so don’t worry, you won't be the only one with limited experience. It is also a popular place to get a dive master certification with many students going straight through from their open water to their dive master. With so many new divers here, there are lots of dive shops that cater to them and you should be able to find a shop that you are comfortable with pretty easily. The dive themselves run the gamut from reef, wall, wreck, etc. You don't have to go deep to get a good dive here. Like all other spots, talk to the divemaster about your experience level so you can be assured that the scheduled dives are on your level. With so many dive sites to choose from, this should not be a problem. You can read our in-depth review of Roatan and its' diving here. Our next choice for beginner scuba diving locations is in the island chain of Turks And Caicos. Like our other 2 picks, Turks and Caicos offer lots of dive sites to choose from. So finding spots suitable for new divers is not difficult. Wall diving here can start as shallow as 30-40 feet which is perfect for less experienced divers. And reef dives can start even shallower at about 25 feet of water. Our last vacation here, we dove with Dive Provo. They brought the boats to the other side of the island to dive off of West Caicos since the water was rough off of Grace Bay Beach. If you dive off of beautiful Grace Bay Beach, most dive sites are a short 10-20 minute boat ride away. If the water is rough on this side of the island, dive shops have the option of diving the other side of the island - typically off of West Caicos - where the water would typically be more calm (if one side is rough, the other side is usually calmer). 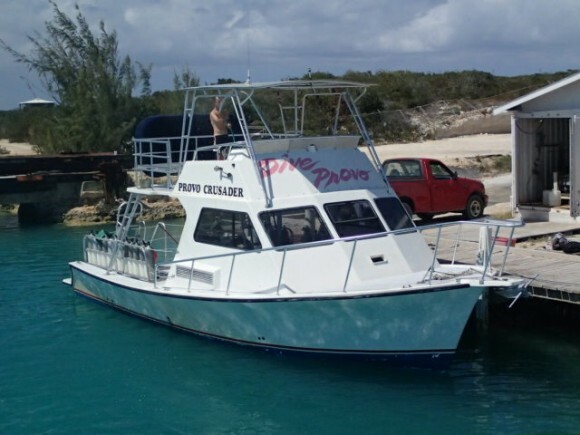 The only disadvantage here is that the boat ride to West Caicos is much longer, about 45-60 minutes. Both sides of the island have locations suitable for new divers so that isn't a concern. Visibility is also usually great with viz in the 80+ foot range not uncommon. I find that great viz helps less experienced divers relax a bit more since they can see everything going on and it is easy to follow the group. Most hotels are associated with a diver operator so that is probably where you will start. However, if for some reason you don't like that operator, call other dive shops - several will pick you up from your hotel at no extra cost. For more information, see our detailed write-up on Turks & Caicos here. So there you have it, our top 3 picks for best beginner scuba diving locations in the Caribbean. I don't think you will be disappointed in any of them. If you go, please let us know what you think in the comment section below. And if you have already dove in one or more of these locations, what do you think - do you agree it would be good for new divers and/or do you have another place to recommend?